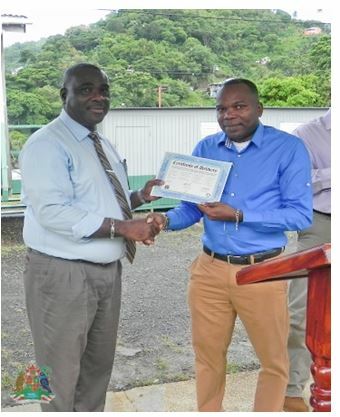 As part of the activities to commemorate International Day for the Preservation of the Ozone Layer 2016, the National Ozone Unit (NOU) in the Energy Division of the Ministry of Finance and Energy made a timely presentation of equipment valued at approximately EC$15,000 to the Boca Secondary School, the only secondary school in Grenada that offers Refrigeration and Air-conditioning as part of its technical studies curriculum. The equipment was received by Mr Cephas Belfon, Principal of the school. The School was presented with state of the art refrigeration and air-conditioning (RAC) servicing tools and equipment. This equipment is expected to enhance and develop the RAC program, at the school, and allow the students to be properly trained in Good Refrigeration Practices. The ultimate goal is to prevent the venting of refrigerants that are either ozone depleting substances (ODS) or greenhouse gases (GHG) into the atmosphere where they can have the undesirable effects of damaging the ozone layer and further contributing to global warming. The presentation of the equipment was the result of a request made by the school to the NOU approximately one and a half years ago. This was disclosed by the National Ozone Officer, Mr Leslie Smith, in his address to the faculty and students of the school at its general assembly on Tuesday, 13 September 2016. In addressing the gathering, Mr Smith took the opportunity to speak about the Montreal Protocol on Substances that Deplete the Ozone Layer, where he outlined the importance of the ozone layer in protecting life on earth from the damaging effects of too much UV–B radiation. He also explained some of the measures that individuals can take to protect themselves from over exposure to this UV–B radiation. Mr Smith implored the students to take great care of the equipment and to pursue the course diligently, since extensive potential employment opportunities currently exist, in this sector, in Grenada and the world at large. 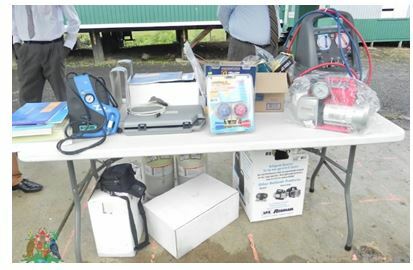 Among the tools and equipment presented to the school were: Refrigerant Recovery machine, Electronic refrigerant identifier, leak detector, refrigerant charging scale, recovery cylinders, vacuum pump, manifold gauges with hose, safety goggles and gloves, along with a range of other consumable items. Funding for the tools and equipment was provided by the Multi-lateral Fund for the implementation of the Montreal Protocol under Stage one of Grenada’s Hydro-Chlorofluorocarbon Phase-out Management Plan (HPMP), which was launched in 2010.